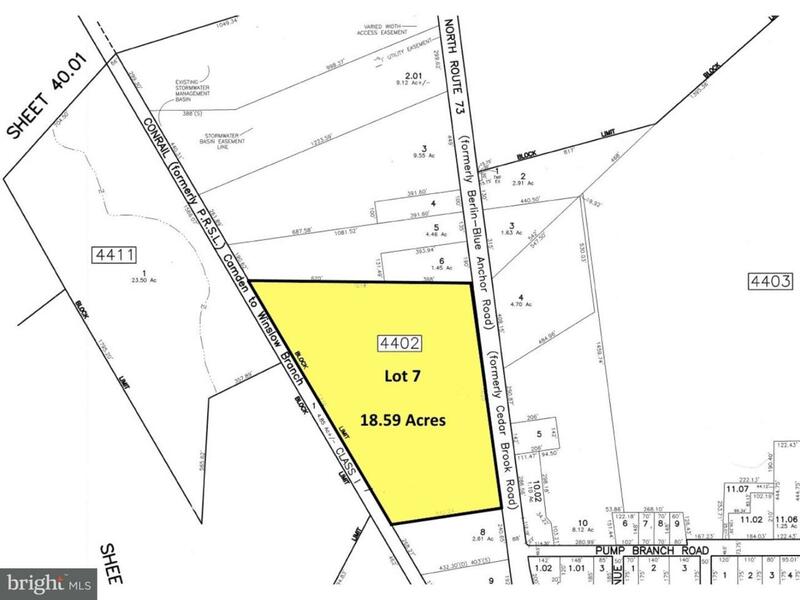 18.59 Acres on very busy Route 73 (35,000 cars per day +/-) Huge frontage (1018 feet). House is sold strictly As Is. Value is in the land. 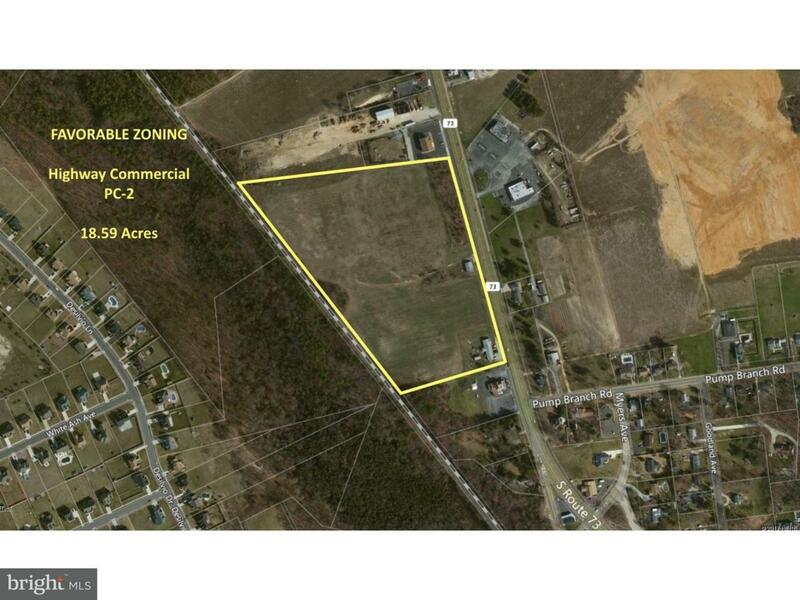 Already has the favorable zoning (PC-1) Pinelands Commercial. Pending is even a more favorable zoning (PC-2) which allows for typical Highway Commercial Business but also includes Major Commercial Development (Including General Office Buildings, Hospitals, Restaurants, and Hotel/Motel). Ground is currently farmed, any rollback taxes will be the responsibility of the Buyer. The ground is level, is serviced by public water and sewer, and is also serviced by natural gas. The Buyer will be responsible for all costs, expenses, and applications regarding development. Probably the best parcel of commercial ground available. Call Today!